TodaysMusic.com is an independent music studio featuring the ambient and electronic music of instrumental keyboardist Phil Herschel. Phil has been composing music for 40 years. Phil's music paints visual pictures for the listener. He brings about positive, and uplifting mood changes. With his extreme variety, there is a composition for you. His music features catchy tunes, and upbeat melodies that use a variety of instrumentation. Over the years, Phil has released three albums. It's a Good Day debuted in 2000, featuring twelve compositions with pianos, acoustic guitars, and drums. This album was shortly followed by Grand Entrance in 2002, which features rhythms, and additional instrumentation. Both albums have been met with positive reviews. Phil's latest album entitled Get Ready was released in 2012. Containing catchy melodies, rhythmic beats, and exciting instrumentals, it is the first new work from Phil since 2002. Enter the musical world of Phil Herschel today, to find out more! Phil Herschel's new album contains twelve instrumental compositions. 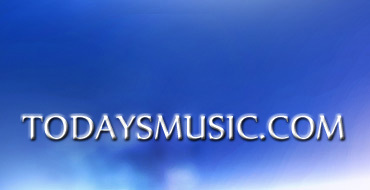 todaysmusic.com Copyright (c) 2012 by todaysmusic, inc. All rights reserved.